As our beloved feline family members age, it is important to be aware of the sometimes subtle and gradual changes that will occur. Always remember that cats are the masters of disguise, and often will hide health problems when they are in the early stages. 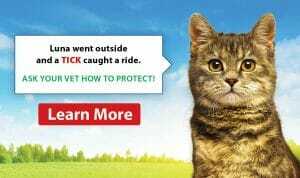 As cat owners and veterinarians, it is our job to know the early warning signs that may signal the onset of problems. What is a senior cat? As your cat ages, be prepared to see some physical and behavioural changes. It’s vitally important to discuss these changes with your veterinarian to know which of these changes are due to normal ageing, and which ones may be signs of illness. Since health status for our senior and geriatric patients can change rapidly, we recommend wellness exams for our senior and geriatric patients every 6 months starting at 11 years of age. 1. Schedule Regular Wellness Check-ups. Develop a relationship with your cat’s veterinarian while your cat is still healthy. 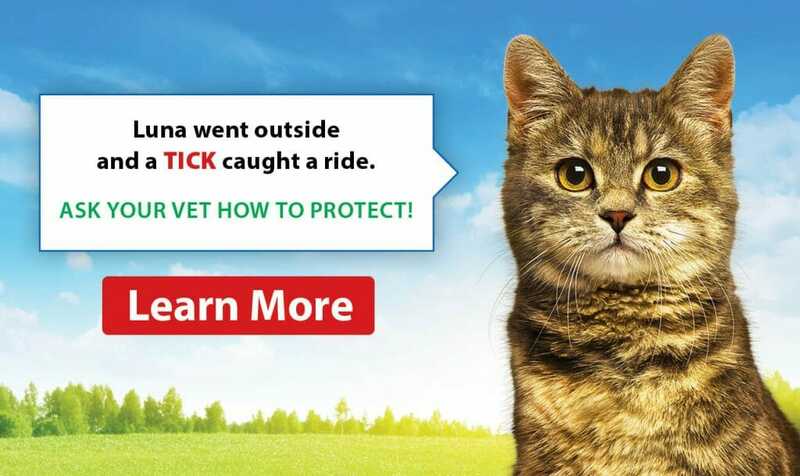 This way they get to know your cat and can detect subtle changes that may indicate a health concern. Cats need to visit their veterinarian more often as they age. We recommend a wellness exam for our senior and geriatric patients every 6 months, even if they appear healthy. Remember that 6 months equates to about 2 years for a cat. A lot can change in only 6 months. 2. Learn Your Cat’s Habits and Pay Attention to Changes. If you notice a difference in behaviour, such as sleeping more or hiding, tell your veterinarian. Know your cat’s normal routines. 3. Beware of Changes in Weight. Both weight gain and unplanned weight loss require a visit to your veterinarian. Gradual changes in weight can be easily missed, this is one of the reasons why regular trips to your veterinarian are important. Weight loss can indicate many different health issues, such as hyperthyroidism, kidney disease, and intestinal disease. Slowing down, or reduced activity is usually a sign of underlying pain. 5. Look When You Scoop. Excessively soft or hard stools, as well as a change in stool color, can indicate illness in cats. 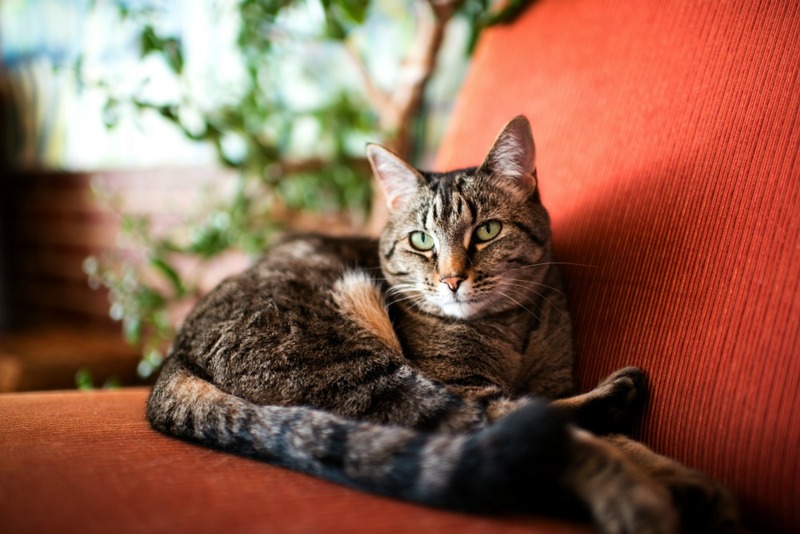 Constipation is common in older cats, which results in dry stools and less frequent stools. Constipation requires treatment by your veterinarian. Take note of the amount of urine you are seeing in the litter box and know what is normal for your cat. Increased urine output can signal some of the most common illnesses in senior cats, including diabetes, kidney disease and hyperthyroidism. 6. Know That Your Cat’s Needs Will Change. Nutritional needs change with some chronic diseases and for some healthy older cats as well. Discuss nutrition with your cat’s veterinarian. Monitor your cat’s food intake, so you know immediately if your cat is eating less than normal. Loss of appetite can indicate serious health problems and should not be ignored. Alert your veterinarian if you notice your cat is not eating well. Elderly cats often crave more attention than they had earlier in life. Provide physical and mental stimulation by petting, playing and interacting in your special ways. 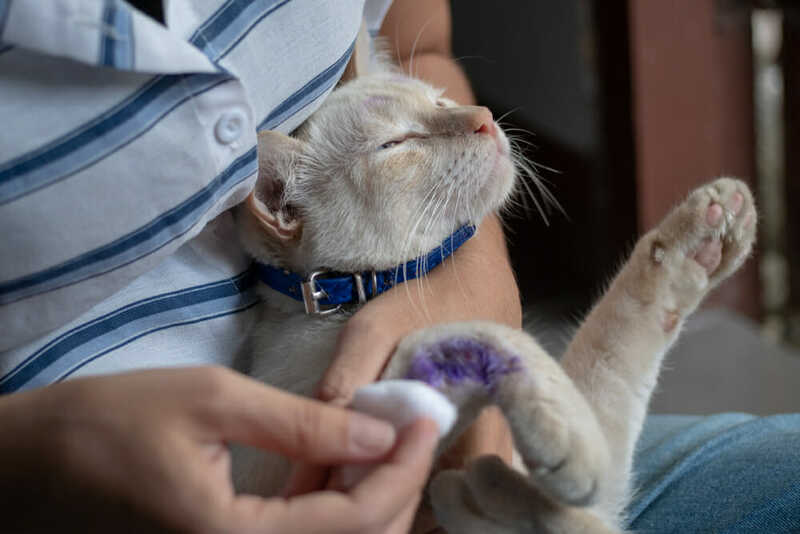 Help your senior cat with grooming by gently brushing or combing and keep nails from becoming overgrown with regular nail trims. The nails of older arthritic cats can overgrow into the paw pads, and this is painful. To schedule a senior wellness examination with us for your special elderly cat, please contact our office. We enjoy seeing our senior patients and take pride in providing our best care in our cat-friendly environment.